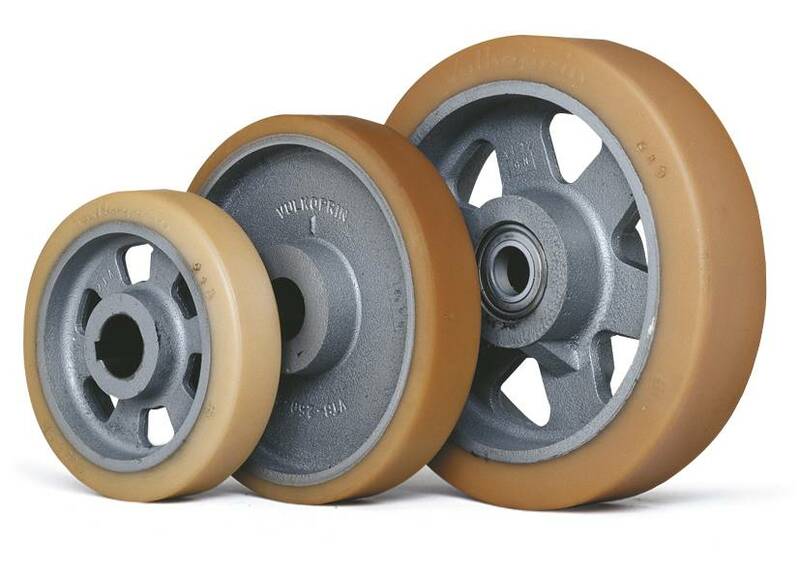 Home / What are Vulkollan wheels and when should you choose vulkollan polyurethane? / How to calculate the needed load capacity of wheels with Polyurethane (Vulkollan) tyres? To calculate the type of wheel and the needed load capacity of the wheel a number of factors and conditions about the application and use of the wheel have to be taking into account. allowable load = 1000kg x 0.75 (continuous running factor) x 0.8 (speed factor) x 0.7 (driving factor) = 420kg.